Review: Buena Vista Social Club, 'Lost And Found' The famed Cuban collective dusts off treasures from nearly 20 years of recording and touring — just in time to say goodbye. It was nearly 20 years ago, back in 1997, that the Buena Vista Social Club became an improbable worldwide sensation: a group of mainly elderly (and some younger) Cuban musicians, performing traditional son music for an album produced by Ry Cooder. The combustible success of that first project — which only transpired by accident to begin with — led to a cottage industry of lovely artifacts, including a beautiful 1998 documentary by Wim Wenders and a string of solo albums from its leading artists (not to mention 2010's Afrocubism, the fruit of World Circuit chief Nick Gold's original idea for what became the Buena Vista Social Club's first album). Since the group's initial successes, several of its unforgettable artists — including guitarist and singer Compay Segundo, pianist Ruben Gonzalez, singer Ibrahim Ferrer, percussionist Miguel "Anga" Díaz (father to the sensational new twin-sister duo Ibeyi) and bassist Orlando "Cachaíto" López — have passed away. The remaining Buena Vista artists are saying farewell with an international "Adiós" tour this year, so it must have seemed like a good time for World Circuit to dig through its archives. 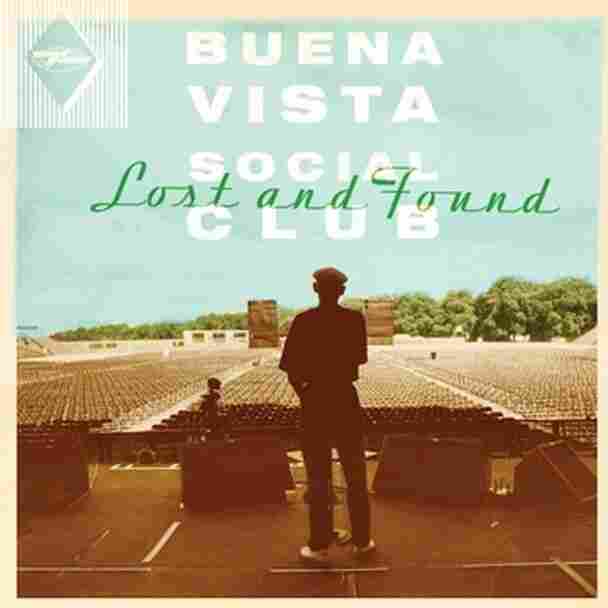 The result is Lost And Found, a compilation of studio recordings (from the original Buena Vista Social Club sessions made at Havana's Egrem Studios in 1996, and from a string of dates through the late 1990s and early 2000s) and live cuts from throughout the artists' touring career. These tracks have all been taken out of the vault and dusted off only for this occasion, but fans of the Buena Vista artists' earlier projects will find more than enough gems here. They include "Macusa," featuring guitarists and singers Eliades Ochoa and Compay Segundo; the cool, trancelike Afro-Cuban jazz of "Black Chicken 37" with Díaz and López; smoky-voiced singer Omara Portuondo in "Tiene Sabor" and the 1930s Cuban chestnut "Lágrimas Negras"; the blazing horns in "Mami Me Gusto," featuring Ibrahim Ferrer; and the razor-sharp dance rhythms in "Guajira En F," featuring Jesus "Aguaje" Ramos, one of Buena Vista's younger performers (now 63). If it turns out that this is the year we do say a final goodbye to the Buena Vista collective, Lost And Found provides a gorgeous reminder of what made it so famous to begin with — and what we'll all be missing.